Jesse Eisenberg is an American actor who performed on the theatre stage and made his movie debut in his early teens. He is also known as a playwright and writer. Eisenberg became famous after the release of the films Zombieland, The Social Network and Now You See Me. Jesse was born in Queens, New York. The boy’s relatives come from Ukraine and Poland. His father Barry worked as a hospital administrator for a long time and later became a college professor. Mother Amy worked as a clown at children's parties. The actor has an elder sister, Kerry Lea, as well as the younger sister, Hallie Kate, who also played together with her brother in films at an early age. 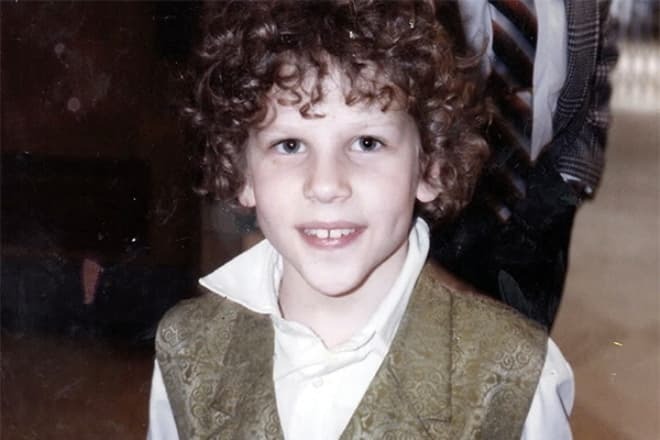 At first, Jesse Eisenberg began his music career. At 13, Jesse joined the teenage pop band The Broadway Kids, who performed in musicals. For the first time, he appeared on the Broadway stage in the play Summer and Smoke. As a singer, Eisenberg participated in the recording of several band’s albums, but in general, he was not a leader there because he was quickly invited to film. After graduation from school, the young man wanted to study the Professional Performing Arts at New York University, but due to the busy shooting schedule, he postponed his studies. As a result, he studied at The New School, a private university. Jesse Eisenberg managed to try his hand as a playwright. He has written and starred in such plays as Asuncion and The Revisionist. Besides play scripts, the young man regularly publishes satire stories in prestigious magazines. Studying at high school, Jesse Eisenberg began to play in the teenage television series Get Real. By the way, this film was the first project for one more young star, Anne Hathaway. Later, the actor appeared in the action movie Lightning: Fire from the Sky, the drama The Emperor’s Club and the comedy-drama Roger Dodger. Jesse attracted viewers’ attention after playing in the thriller Cursed and the youth comedy Adventureland, where his partner was Kristen Stewart. The European adventure drama The Hunting Party is also worth mentioning. Eisenberg worked with Richard Gere there. The actor became very famous after the release of the horror comedy movie Zombieland. He attracted the attention of movie fans and experts. As a result, Jesse got three significant roles in the comedy Adventureland, the crime drama Holly Rollers and the biographical film The Social Network about the life of the Facebook founder, Mark Zuckerberg. For the last project, Eisenberg received two most significant nominations in the world, the Oscar, and Golden Globe Awards. Later, the actor filmed in many projects of various genres. The most significant films are Woody Allen's comedy To Rome with Love, the thriller The Double, based on the novella by Fyodor Mikhailovich Dostoevsky, the adventure thriller 30 Minutes or Less and the thriller film Night Moves. Eisenberg had a new starring role in the crime thriller Now You See Me, where he played a magician in the Horsemen group, who exposed dishonest businesspeople and bankers. According to the crew, all tricks were performed alive, without post-processing or special effects. Moreover, the heroes revealed magic tricks in the film right during the show. Fans also like the comedy American Ultra about superspies. Jesse Eisenberg played a leading role, and his partner on the set was the star of Twilight, Kristen Stewart. The film tells about the life of an idler, Mike, who has a quiet life and reads comic books, until he discovers that he was a secret agent and product of the experiment which aim was to create super soldiers. He has forgotten that he has advanced combat training and superintelligence. Slim and short (the actor's height is 171 cm) Eisenberg is the extreme opposition to the typical image of a super-agent, which is ridiculed in this film. Jesse Eisenberg is one of the most reserved Hollywood actors. There are dozens of accounts of his name on Instagram, but none of them is verified and does not have even hundreds of subscribers. Jesse Eisenberg has always called himself a big baby, who does not even think about marriage. Instead, the actor devoted a lot of time to his hobbies, often associated with games and entertainment. The actor is the author and creator of OneUpMe.com, the entertainment website, where visitors can play word games. Nevertheless, the actor has had at least two serious love affairs. In 2002, he met the assistant producer, Anna Strout, on the set of the film The Emperor's Club. She was six years older than Jesse. The couple dated for a decade, but in the end, the young people separated. In 2013, Eisenberg started a romantic relationship with the young actress, Mia Wasikowska, his partner in the film The Double. This time the love affair lasted only two years. In 2015, there were rumors that the actor reunited with Anna Strout. In 2016, the press spread the gossip that Anna was pregnant and was preparing to become Eisenberg’s wife. Jesse did not comment on this information, so fans did not know for some time whether Eisenberg broke his principles or not. 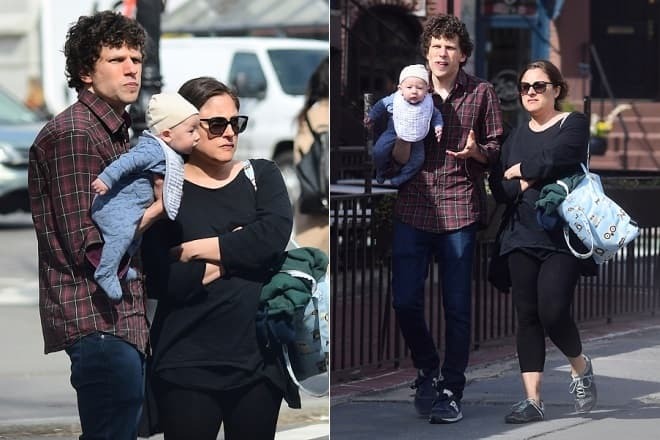 In 2017, there was no information about the actor’s marriage, but the paparazzi took pictures of Jesse Eisenberg going for a walk with a baby. The press quickly linked rumors and photos together and concluded that the actor finally became a father. In 2016, Jesse Eisenberg joined the DC Extended universe. 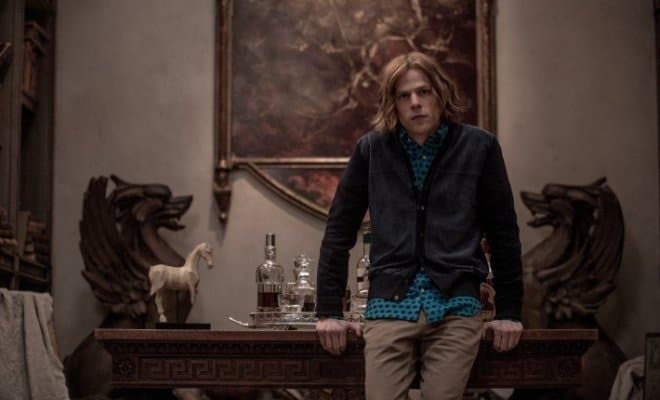 They released the superhero action film Batman v Superman: Dawn of Justice where Jesse Eisenberg played the role of the villain and Superman’s enemy, Lex Luthor. In 2016, the actor also returned to the role of J. Atlas in the sequel to the detective thriller Now You See Me 2. In the new film, Jesse Eisenberg’s character has risen to prominence. The magician tries to take a leadership position in the team, connects with the secret order and comes into conflict with the Horsemen leader (Mark Ruffalo). Eisenberg played in the romantic comedy Café Society. The action takes place in the USA in the 1930s. The actor plays the leading role of the young man, Bobby, who is trying to find work in Hollywood. The film shows the ups and downs of the young man’s life during that time, his attempts to connect life with the cinema, promotion to a club manager, as well as the romantic relationship of the protagonist with girls. 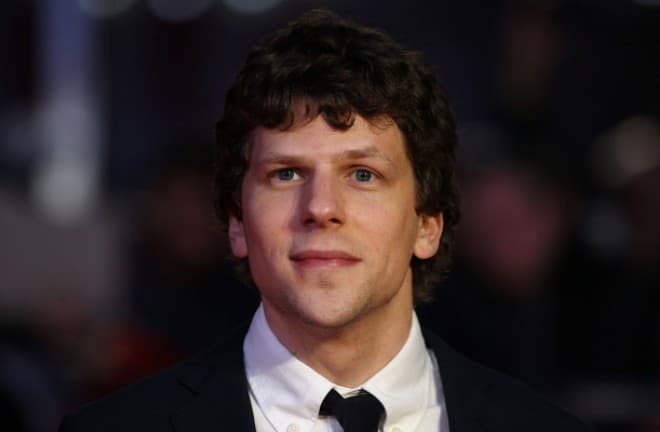 In 2017, Jesse Eisenberg appeared on the screen as the villain Lex Luthor in the superhero crossover Justice League again. The central theme of the film is the alliance of the famous comics heroes. The film stars such actors as Henry Cavill, Ben Affleck, Ezra Miller, Gal Gadot, Jason Momoa and Ray Fisher who already played or were going to play superheroes in solo movies. At the end of the film, Eisenberg’s hero hints the mercenary Deathstroke (Joe Manganiello) to create a similar team of villains. It is a reference to the Injustice League Comics. There are rumors about its screen version and references in other film franchises.